I can break out the jeans, sweaters, and hoodies. Pumpkins and apples dot the produce section at my grocery store. And the kiddo is trying to decide what to be for Halloween. Growing up Halloween and Trick-or-Treating was a fun community affair. Our church had a fall festival…and we actually dressed up!! No one took issue with it. Trick-or-Treating also meant lots of homemade goodies gathered door to door around the neighborhood. 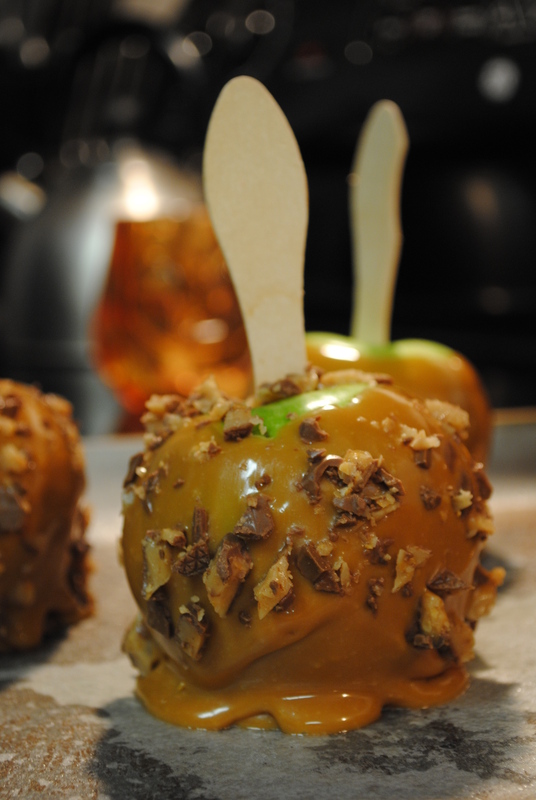 The little grandmas on my street weren’t trying to slip razor blades into their candy apples. It wasn’t a successful candy haul if one of these didn’t show up in the treat bag. One of the perks of being all grown up is that I can make these whenever I want. A Halloween themed Bunco night gave me the perfect opportunity to indulge. Prepare a baking sheet or jelly roll pan by lining it with wax paper that’s been sprayed with cooking spray. 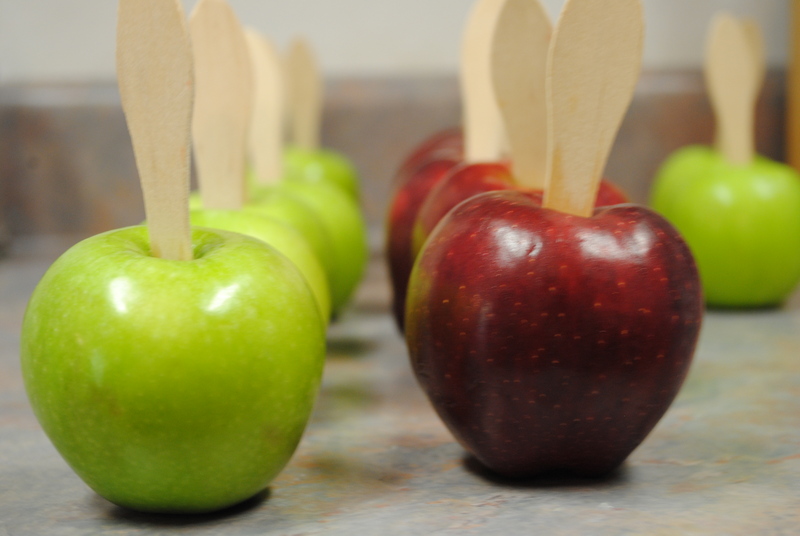 Prepare apples by removing stems and inserting popsicle or sucker sticks into the top. 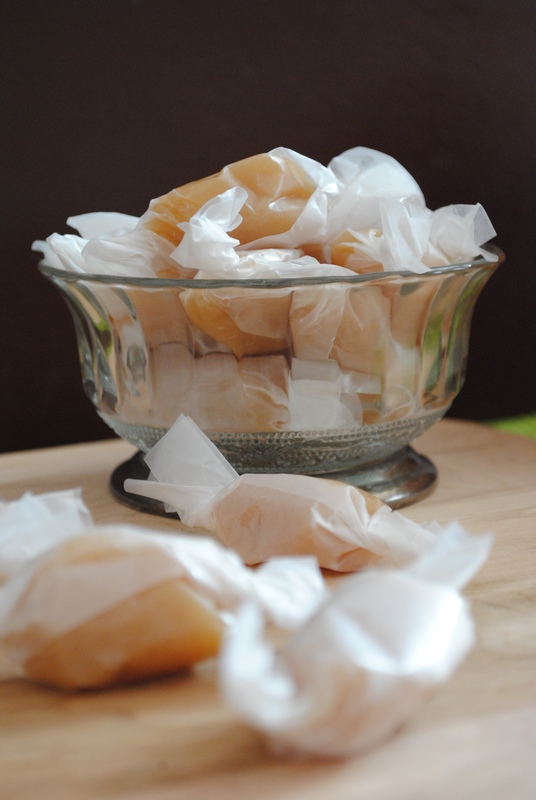 Unwrap the caramels and place them in a bowl with milk. 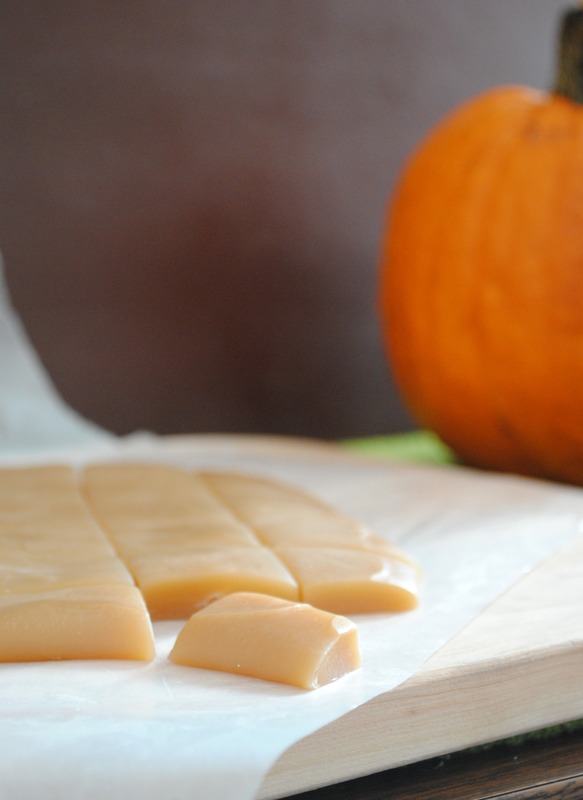 **I used 2 T. and the caramel was a bit soft, but still set up nicely when refrigerated. You may want to start with less and add more if needed. Out of the package my caramels were softer than the ones I normally use. 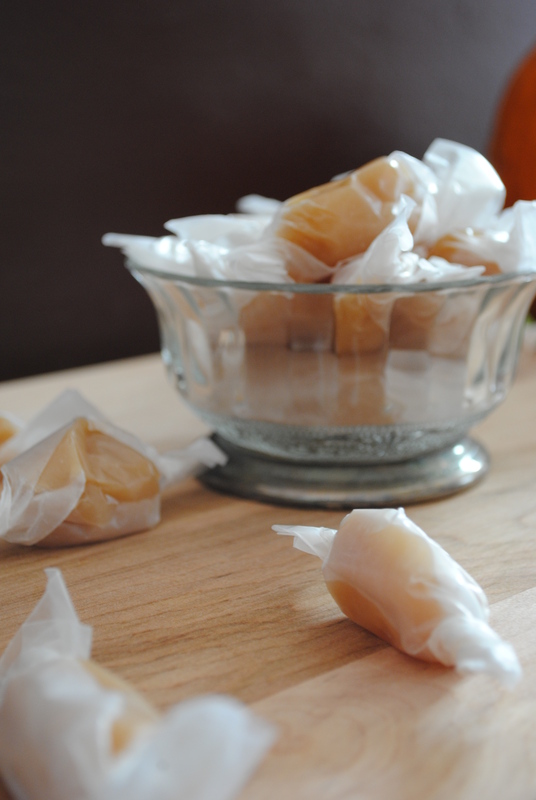 If your caramels are soft I would suggest starting with less. If you caramels are firm go ahead and add the full 2T. ** Microwave for 2 full minutes without stopping. Stir until caramels and milk are incorporated. 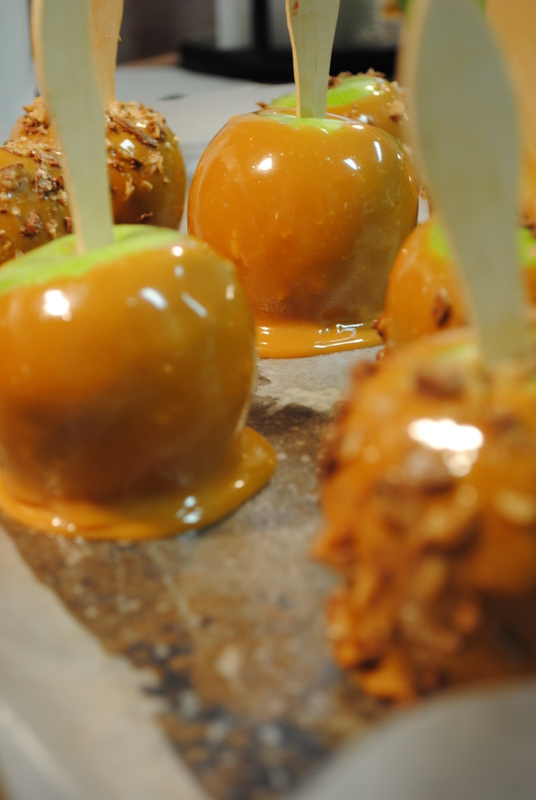 Dip apples into caramel. Place on prepared pan and immediately sprinkle with garnish. 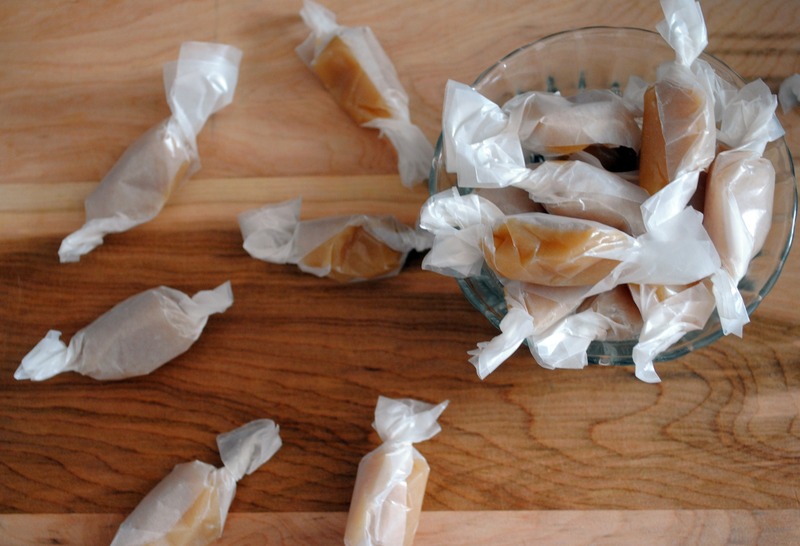 Refrigerate to set caramel.